Our Organic Peruvian coffee has a fruity acidity and smooth syrupy sweetness thanks to the unique environment and growing process used by our smallholder farmers. Full-bodied, you'll love its toasted hazelnut aroma and cocoa flavour. TRIPLE CERTIFIED: Organic, Fairtrade & Rainforest Alliance certified Single Origin Arabica coffee. 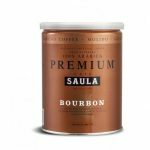 TASTE EXPERIENCE: A full-bodied, smooth coffee with a fruity acidity and smooth syrupy sweetness and a toasted hazelnut aroma and cocoa flavour. Strength 6 (out of 10). 100% COMPOSTABLE & BIODEGRADABLE PODS: Made from cornstarch, our 100% compostable and biodegradable capsules are compatible with Nespresso® original domestic drop-through coffee machines (excl. Expert), and will disintegrate in your home composter or organic recycling within 6 months. 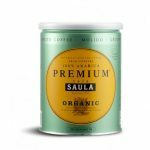 SPECIALITY SINGLE ORIGIN ARABICA COFFEE: Grown under shade using traditional methods in the mountain valleys of northern Peru by smallholder farming cooperatives in harmony with the environment and social programmes. 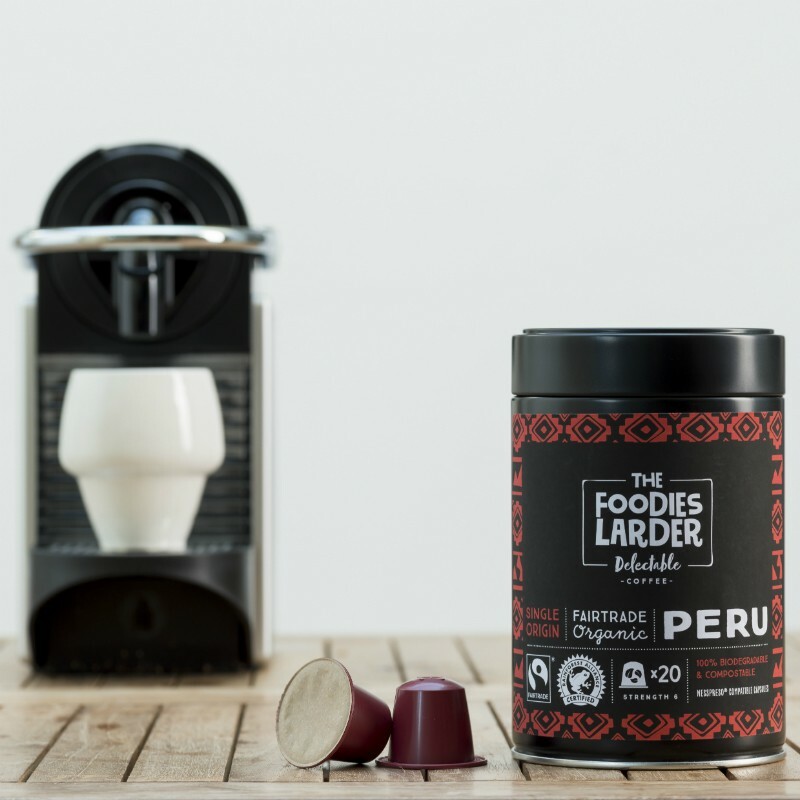 Our Organic, Fairtrade & Rainforest Alliance certified Peruvian coffee has a fruity acidity and smooth syrupy sweetness, thanks to the unique environment and growing process used by our smallholder farmers. We’re confident you’ll love its smooth, full-bodied cocoa flavour and toasted hazelnut aroma! 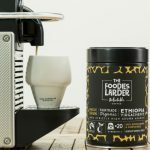 Single Origin, High Grown, Organic, Fairtrade, Rainforest Alliance certified, Swiss Water Decaffeinated…our ‘Delectable’ range of 3 premium coffees gives you a truly delicious coffee experience that is ethical and sustainable too. Unlike Nespresso® or plastic capsules, our coffee capsule range is 100% biodegradable & compostable. Simply place used capsules into your home composter or organic recycling and they’ll decompose within 6 months. Some companies selling plastic coffee capsules even make spurious claims about being eco-friendly, which is only the case if you, their customer, are dedicated enough to peel-empty-wash every single one yourself, but bang goes any convenience of owning a Nespresso® machine! Likewise, Nespresso’s® own capsule recycling bags & scheme is reportedly not working, as in reality many people simply throw away their used coffee capsules only to be buried in landfill…a real-world case of convenience over conscience! Thankfully, this no longer needs to be the case. So join us and indulge in a guilt-free coffee courtesy of our cooperative farmers and biodegradable coffee pods.